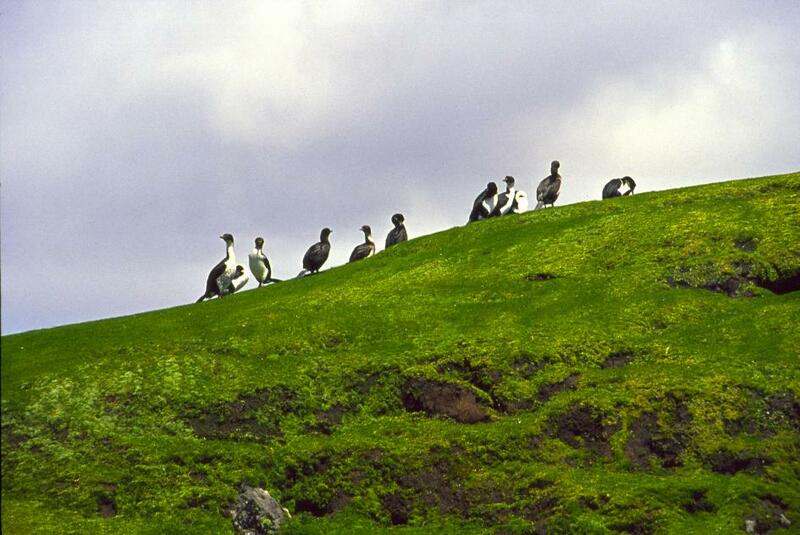 The largest group of islands in the South Indian Ocean, the archipelago known as Iles Kerguelen lies at 49 S latitude and is comprised of one main island of 6,675 sq.km. 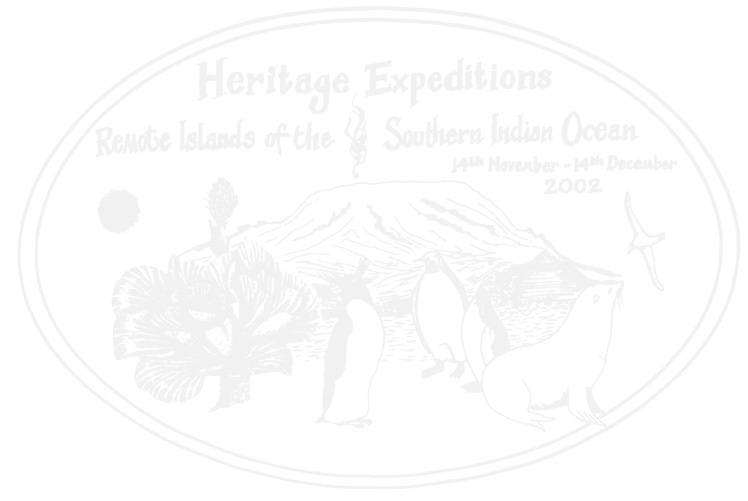 and dozens of adjacent smaller islands that bring the total land area to 7,215 sq.km. 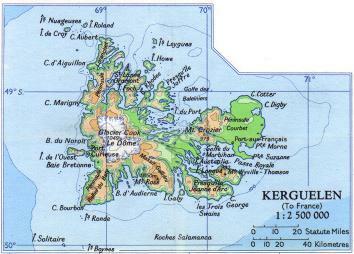 Because of unexpectedly good weather, we arrive at the Iles Kerguelen two days ahead of schedule, which, to my delight, means that we will have four days to spend there rather than the two that had been scheduled! 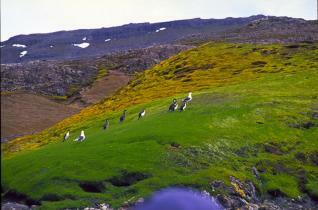 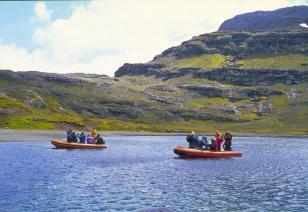 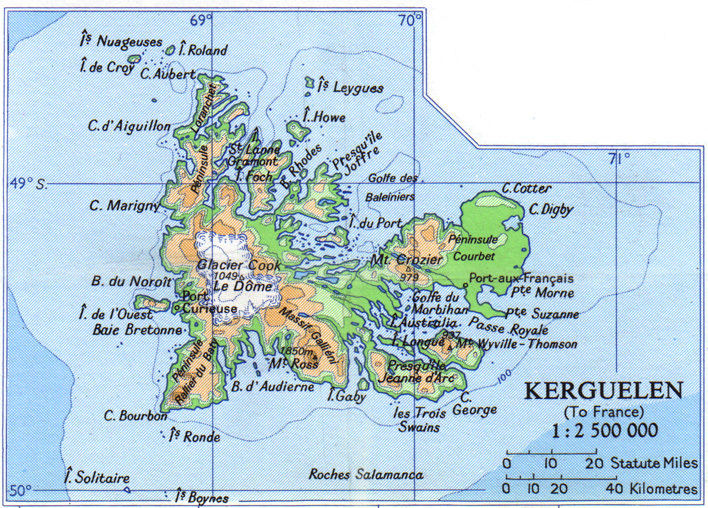 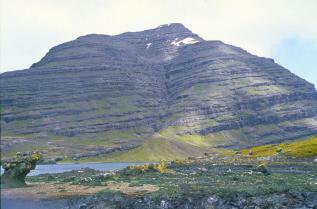 Also part of Terres Australes et Antarctiques Francaises, the Kerguelen Islands are therefore managed by the French. Because we are ahead of schedule, we are not allowed to go ashore but a Naiad cruise is permitted. 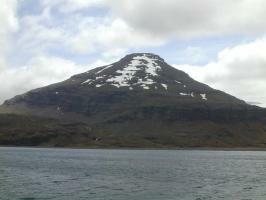 Making an early morning landfall on Kerguelen's southern coast, we make our way up Baie de la Table (Table Bay) and anchor at 0930 at the entrance of Fjord des Portes Noires (Black Gates Fjord). 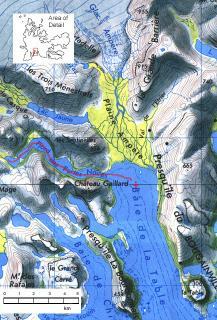 The map shows our approximate anchor position (the red cross) and the path of the Naiad cruise into the fjord. The mountain called Chateau Gaillard (Gaillard Castle) guards the southern side of the entrance to the Fjord des Portes Noires. 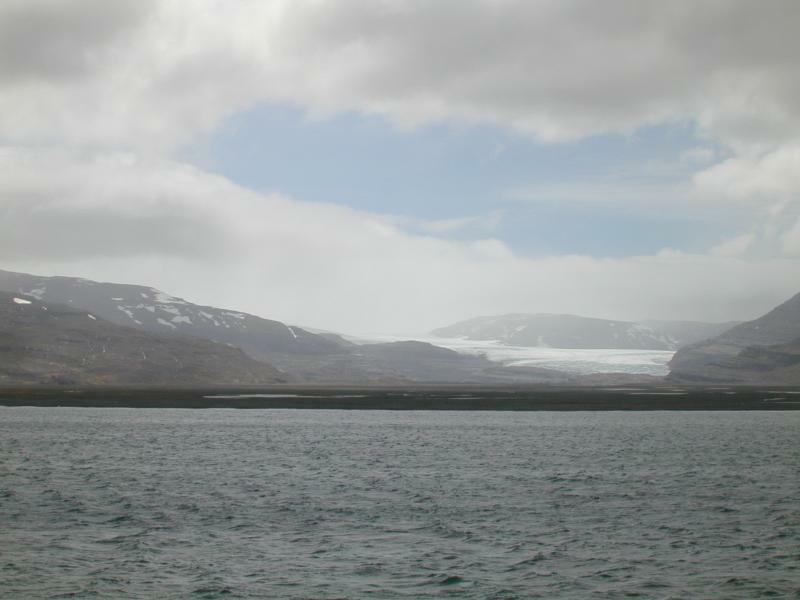 To the north, Plaine Ampere (Ampere Plain) is partially covered with meltwater from the distant Glacier Ampere (Ampere Glacier). Patches of snow remain at the higher elevations. 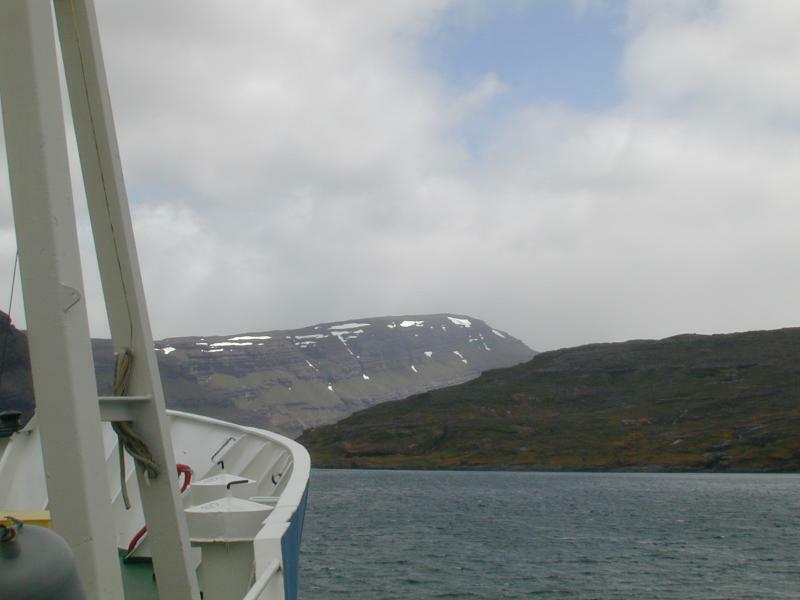 The Naiad cruise down the fjord gives us a closer view of the tilted rock strata and reveals the green and yellow of moss and lichens amid bizarre rock formations. 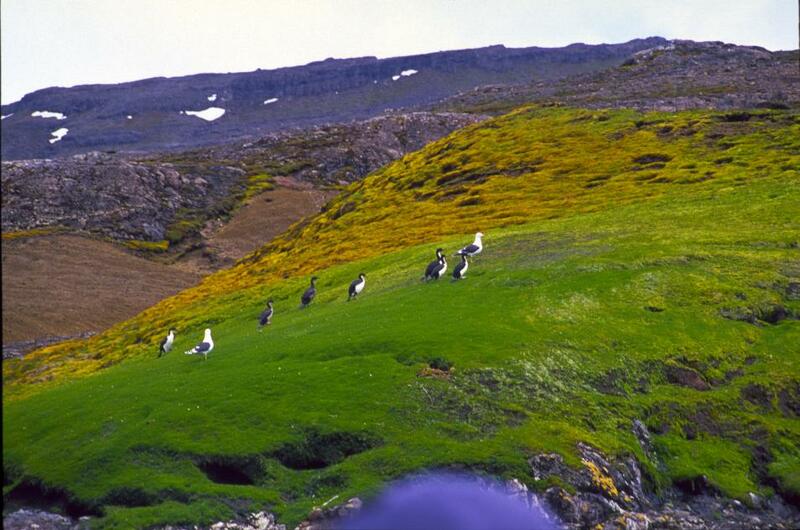 A pair of kelp gulls stand as sentries to a group of Kerguelen cormorants on a beautiful moss-covered headland just a few meters from our Naiads. 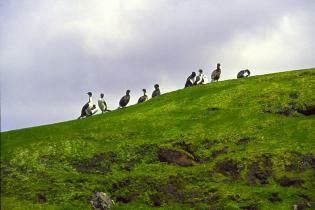 A closer look at the cormorants on their lovely picnic spot. 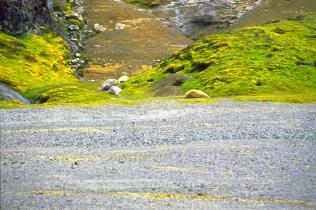 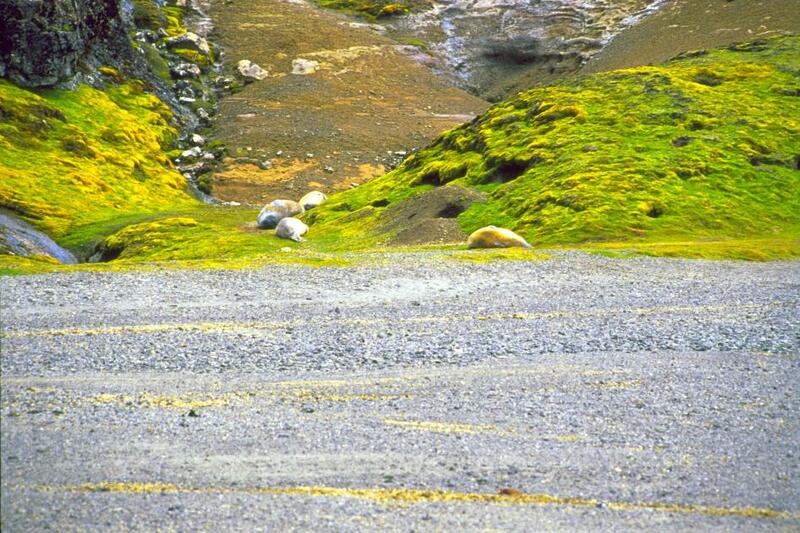 Elephant seals lie like furry lumps along the shore of the fjord. 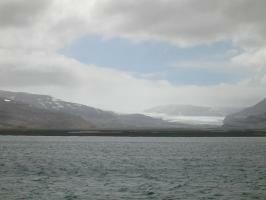 Cameras click furiously in the other two Naiads while I in turn photograph them.